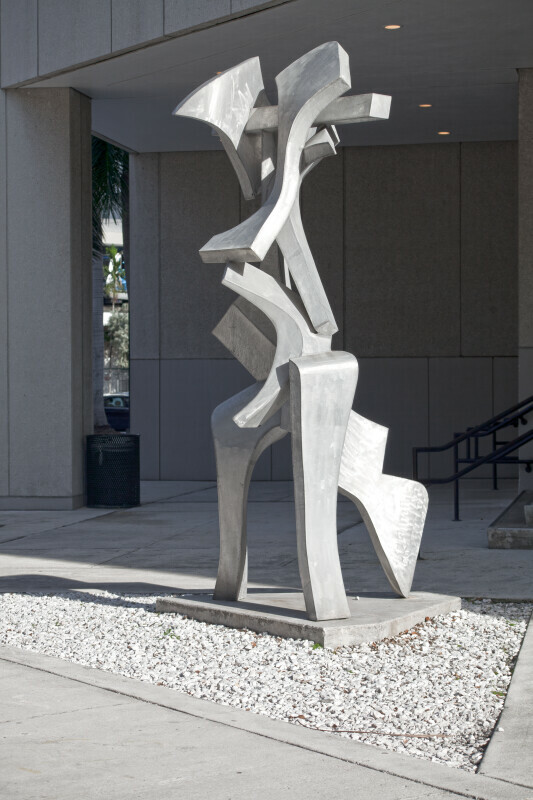 This abstract sculpture was created by Bill Barrett. The artist is known for working with welded metal. This sculpture was created in 1983.